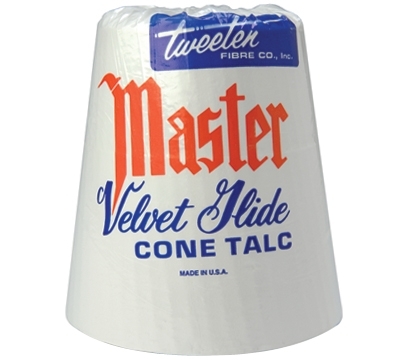 Our cone talc is there when you need it. Quickly takes care of perspiration. Simply rub your hand on the cone for easy application. When ordering talc in quantities, extra freight charges may apply.